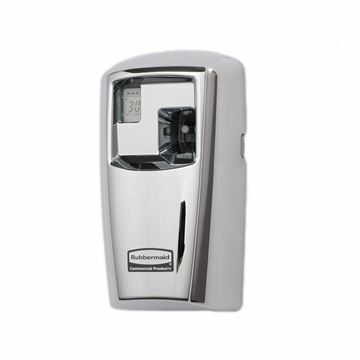 Ensure your facilities always smell fresh and clean with the Vectair Airoma® automatic air freshener. 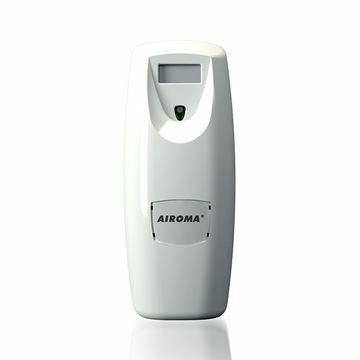 The Airoma delivers small bursts of fragrance at specific intervals to keep odours at bay. 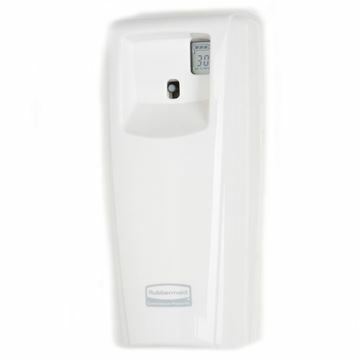 Sleek and compact, the highly effective Airoma® dispenser is designed to work in a wide variety of locations with minimum disruption to the surrounding environment. 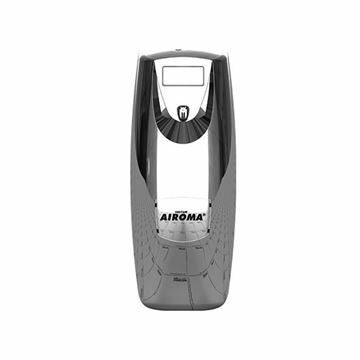 Airoma® is an automatic fragrance dispenser designed to ensure your facilities smell fresh and clean whenever a fragrance is required. 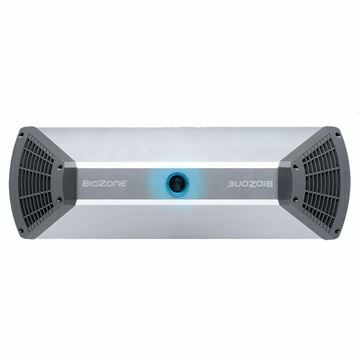 It automatically delivers small bursts of fragrance at specific intervals in order to keep bad odours at bay. 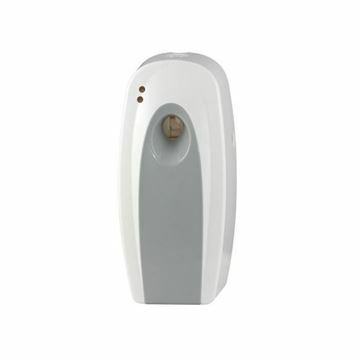 Creates a fresh-smelling washroom that is pleasant to use by removing odour causing airborne and surface bacteria. 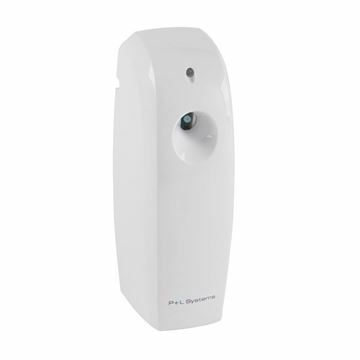 Protects washroom users by promoting an hygienic environment that is free of viruses, mould and fungi. With LED indicators, 8/15/25 minute adjustable cycle with DAY/12/24 hour sensor. For use with the wide range of Kleenmist fragrance aerosols. Lockable to prevent aerosol theft. 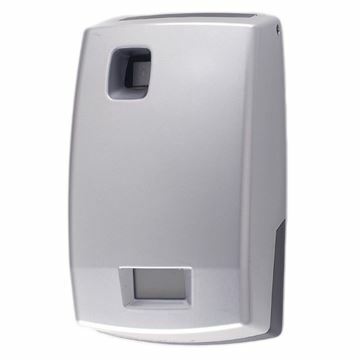 Operates on 2 x AA batteries (not supplied), good for approximately 50,000 metered aerosol sprays. Wall fixings supplied. White ABS. H: 20cm, W: 9cm, D: 7.5cm. 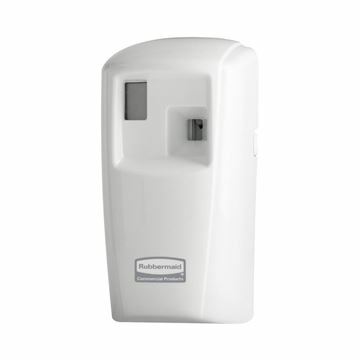 World-leading air care systems that deliver fragrance and odour neutralisers automatically, helping to keep washrooms appearing clean, fresh and comfortable 24-hours a day. 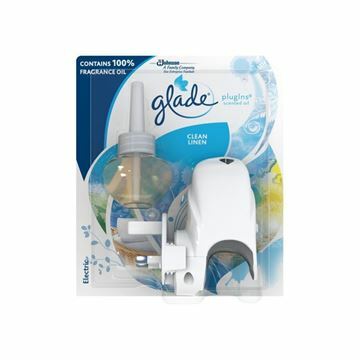 Enjoy a relaxing and exotic scent with the Glade Bali Sandalwood & Jasmine Scented Oil PlugIn. Simply plug in for long-lasting fragrance that’s adjustable to fill any room in your home. 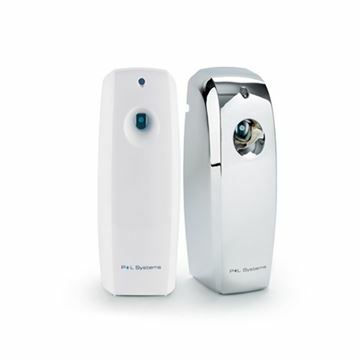 The Spa is a fully programmable aerosol air freshener designed to satisfy the needs of both service professional and end user. The unit features unrestricted personalised settings with 7, 14, 20, 30 minutes, 12 or 24 and 5 or 7 day options available. 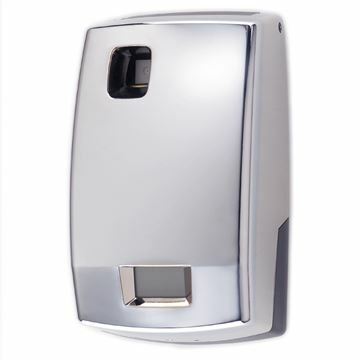 Allowing flexible fragrancing, the P+L Systems Washroom LCD dispenser gives complete control, delivering a customised solution for all applications. Easy to programme, the LCD range allows fragrances to be dispensed on selected days of the week, between selected time periods at prescribed intervals, matching your customers’ needs exactly and maximising the life of fragrances.